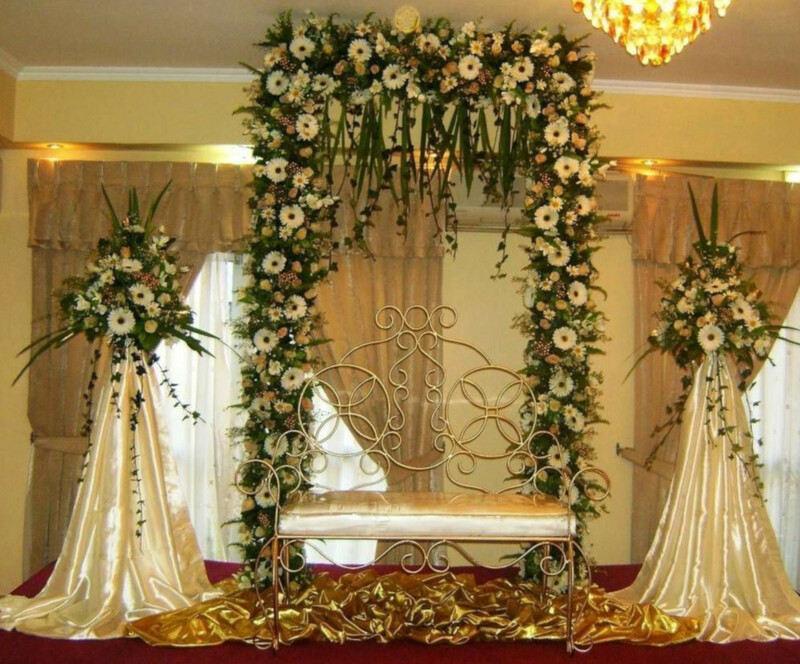 Generally speaking, wedding flowers are aimed to create the specific atmosphere for such an event. Delicate, fragile and soft as they are they represent the key item for a wedding. 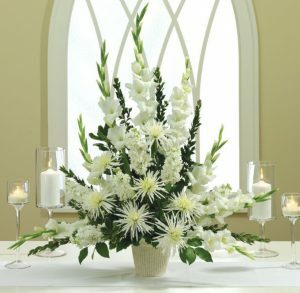 Wedding decorations include floral arrangements for the restaurant where the after wedding party will take place, but also for the church, where the religious ceremony will be.When it comes about wedding altar flowers things are serious, so that the details and all the decisions you take has to show decency. First of all, the flower arrangements for altar need to be white. This is a strict request with ancient roots. It is said that white means everything that is pure, untouched and sincere and so that one`s soul should be in God`s front. If one can not have only white flowers to its wedding, then you can combine the colors. No matter your decision, there must be white. Apart from this, another crucial aspect is the type of flowers. According to tradition, carnations remind of funeral feast, callas are the symbol for pride and so on there are thousands of interpretations. Consequently, one has to be careful when choosing the type of flowers. More than all these, is the shape of flowers arrangements. Tall ones means approaching to God, as a symbol for faithful people, those who believe in God`s power and presence in their life. Also, round shape ones suggest happiness and desire to to respect the religious “law”: what God unified, people should not break up. If all these facts one believes that are only stories ask a priest advice. People have different points of view, but a church representative can clarify you. It also depends on each and every culture and its beliefs and traditions.Hence, for sure the numbers of flowers have to be uneven, otherwise it will foresee a bad event in grooms life. It is said that even numbers in a floral arrangement represents ill-luck and issues regarding one`s state of health. Wedding altar flowers are the modern oblation and a method of showing obedience towards the divinity. But if they are too costly and the restrictions are too many for you to deal with, another solution is to replace them with candles. Simple, elegant and more romantic after all. For candles there are no bad references or restrictions imposed by religious beliefs or tradition. To sum up, religious wedding ceremony is all about faith. So the grooms should think positive and respect these criteria. After all, all the obstacles in one`s way is aimed to asses its decision. If you succeed it means that you really wanted to rich to a certain point.